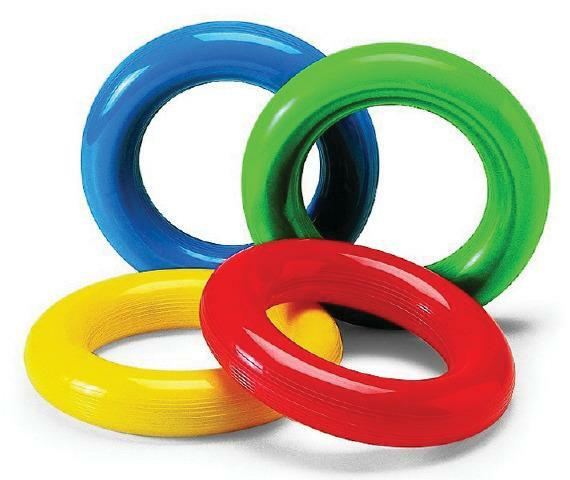 Really strong, soft rubber ring. Has a textured exterior that add an element to the throwing of the ring. These heavy-duty foamed rubber rings are built to last with each ring weighing almost 1/2 pound. Color varies. Price is for one only. Dimensions: 6-1/2" outer dia. ; 4-1/8" inner dia. Extremely efficient ordering and received the order very quickly.